From the original Cars, here we have Mattel's 1:55 scale diecast release of Strip Weathers, or better known as "The King." This character has been released and re-released many times over the years, but the one I have here is part of the original 2006 "Dessert Series." 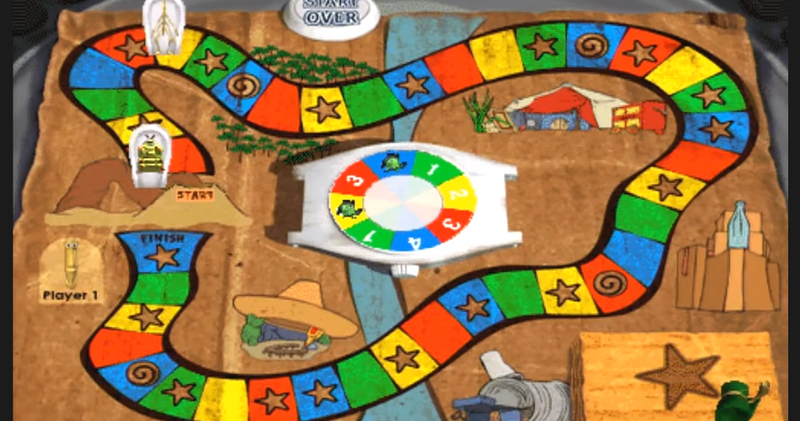 In the film, Strip "The King" Weathers is one of the main race cars competing for the Piston Cup against Lightning Mcqueen and Chick Hicks (after their three-way tie). There are also a few different versions of this character out there as well, such a damaged "The King", a metallic finish version and one with a Piston Cup accessory. In addition, his wife "Mrs. The King" has also been released several times (seen HERE). Thanks for stopping by! If you're new here, welcome! 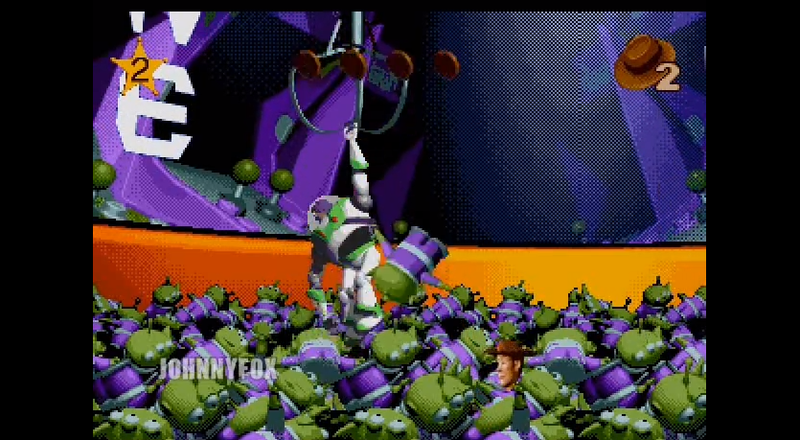 Be sure to come back daily to see more items from my Pixar collection. Here we have the Brent Mustangburger and Darrell Cartrip "movie moments" 2-pack! 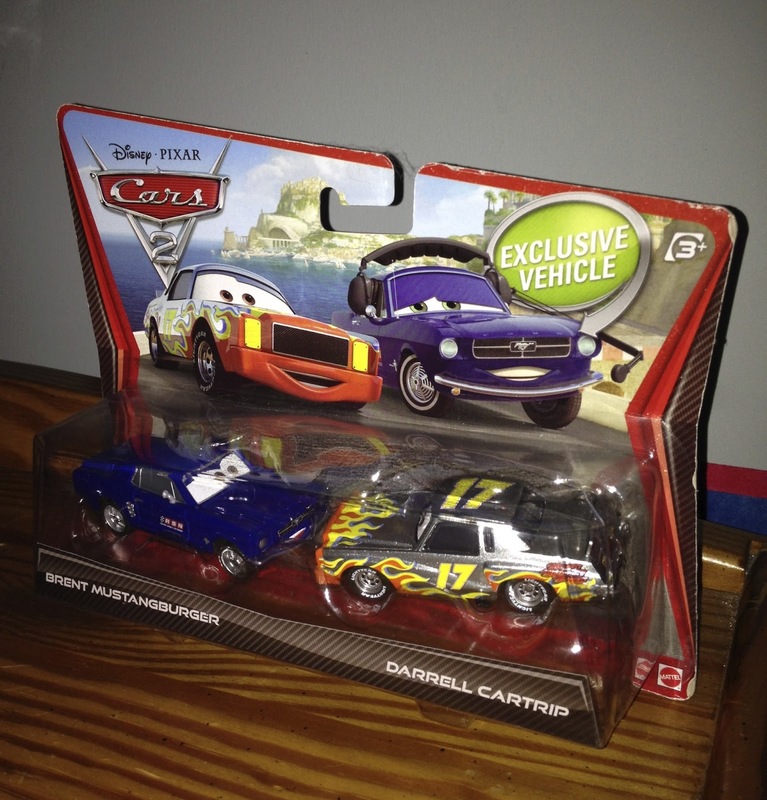 These are 1:55 scale diecasts from Mattel and were originally released in the original 2011 Cars 2 series. 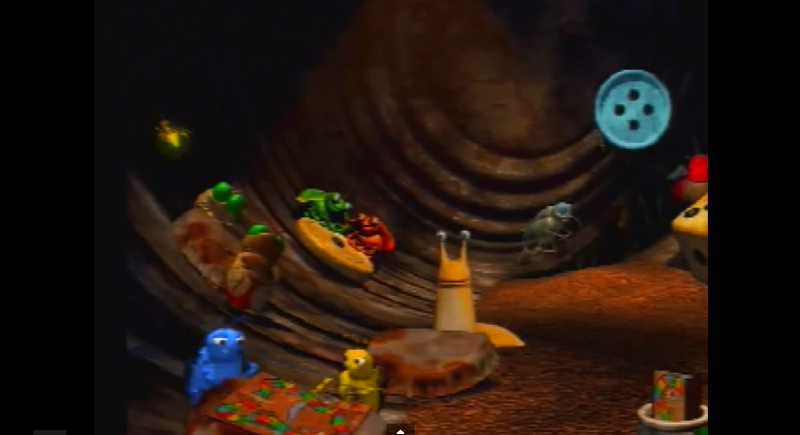 In the film, both these characters are seen as commentators for the WGP (along with David Hobbscap). Brent and Darrell were also available in single packs with their headsets included (seen HERE and HERE respectively). Since this 2-pack has long since been in stores, your best bet is to find it on Amazon or eBay. As usual, good luck on the hunt! From Mattel, here is their 1:55 scale diecast release of Chick Hicks (also known by race fans as "the Runner-Up") from the original Cars! 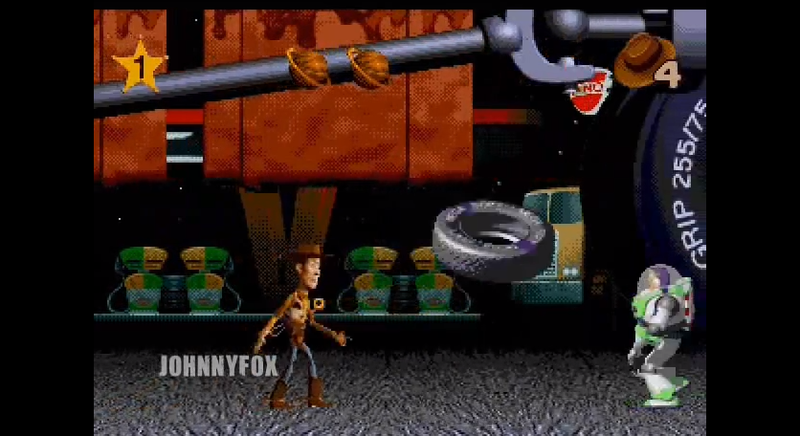 Being one of the film's featured characters and Lightning's Mcqueen main antagonist, Chick Hicks has been around since the diecast line began back in 2006. Since then, he has been released too many times to count (in both single and multi-packs). 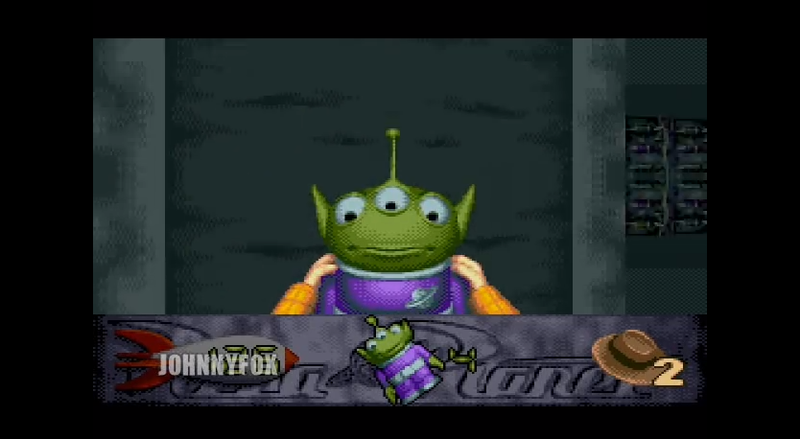 The one I have loose here, as you may notice, is the "lenticular" (moving eyes) version. I also have a fixed eyes release (seen HERE in the "Three Way Tie Gift Pack") as well as a Dinoco version (seen HERE). His latest release was just last year, so you may even be able to find him in stores still at this point. If not, he's scheduled for yet another release later this year. If you're still trying to add Chick to your Cars collection, don't worry- he'll be around again soon..
Did you know? Chick's racing number is 86- the year that Pixar was officially established and the year that their short film, Luxo Jr., was released! 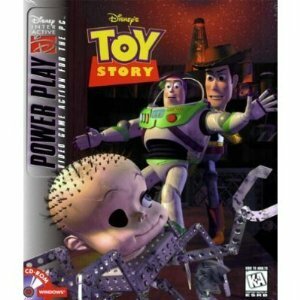 Who remembers the original Toy Story "Power Play" video game? 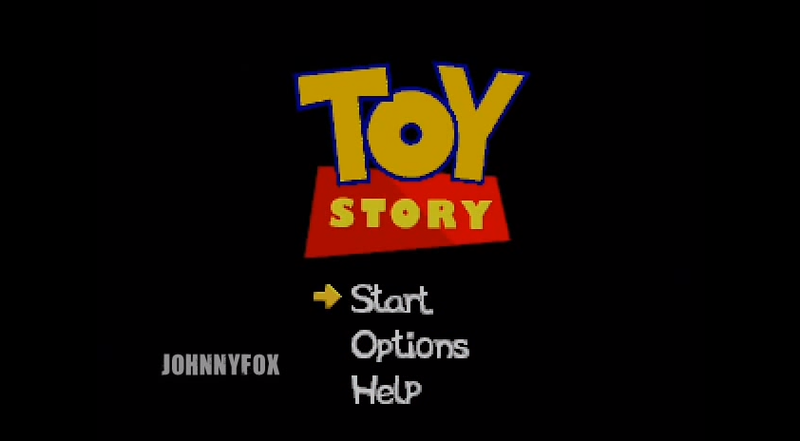 If you were a fan of the film in the 90's, you probably either had it, played it or at least seen it. 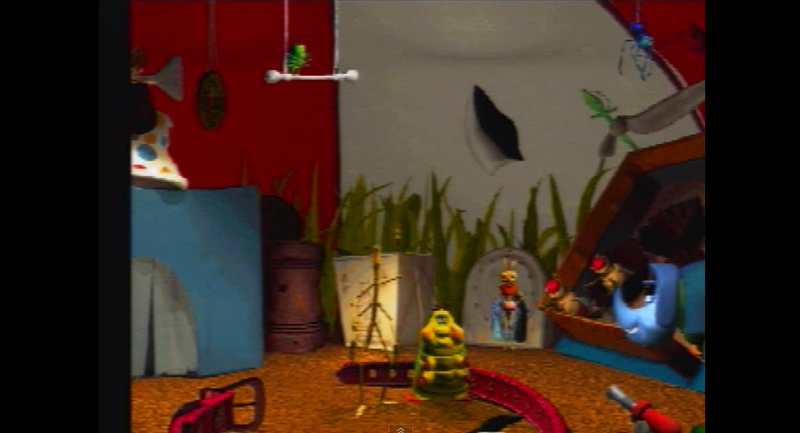 This game was released on CD-ROM for Windows PC in October 1996 (which was the platform I played it on since I didn't grow up with video game consoles). 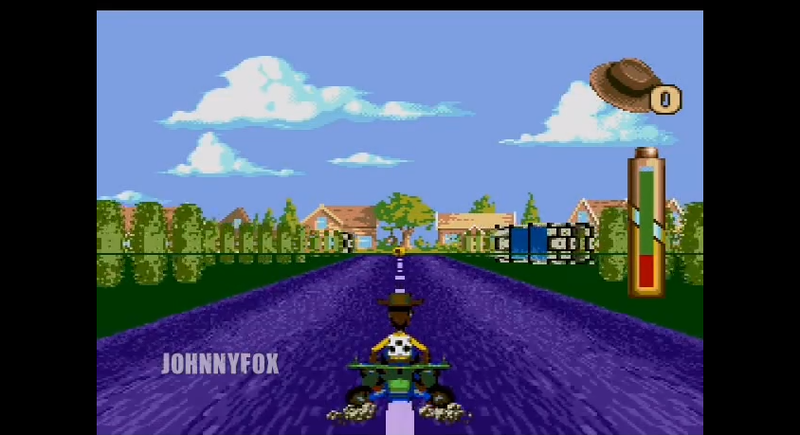 Almost identical versions were also released for Sega Genesis, Super Nintendo and Game Boy as well. 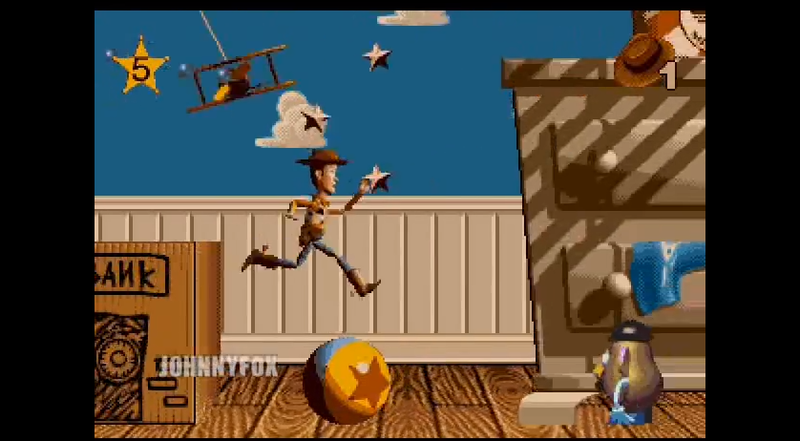 I haven't played this game all the way through for many years, but I remember having a lot of fun with it as a kid. I still have the disc at home, but not with me; I'm not even sure if it works on today's computers. 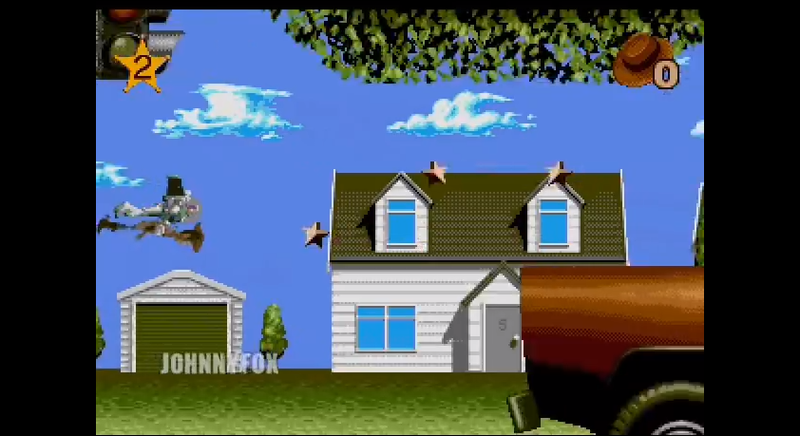 But thanks to YouTuber JohnnyDFox, I was able to capture gameplay screenshots and relive the old memories of playing the game. 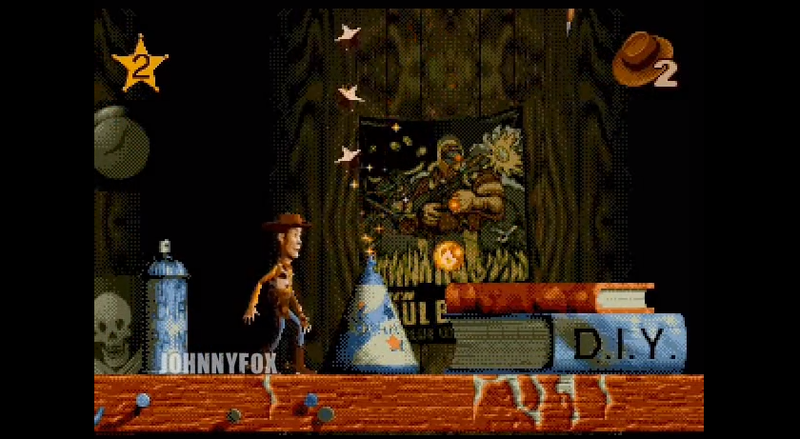 Hopefully this brings back some nostalgia for you as well! 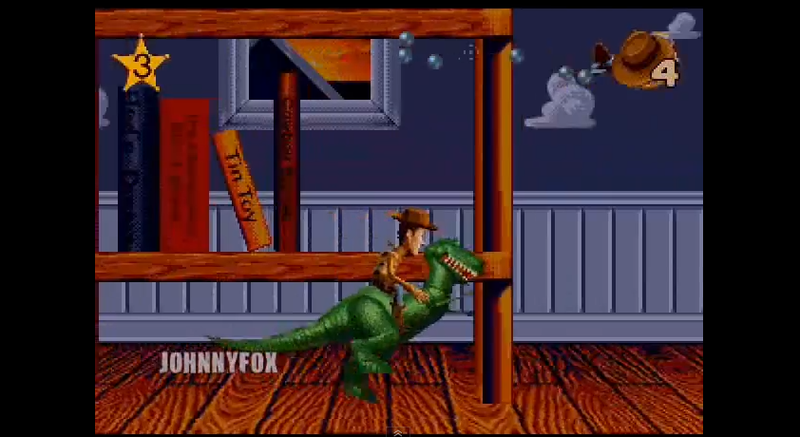 Level 7: Run Rex, Run! 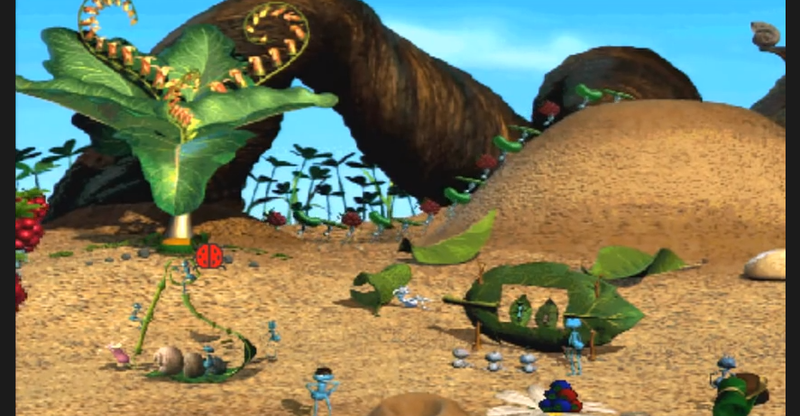 In November 1998, Disney Interactive released this very fun A Bug's Life Active Play CD-ROM computer game. 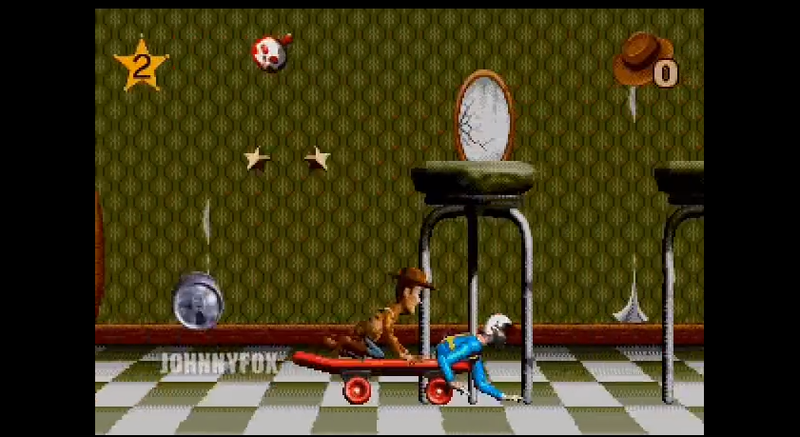 I was eight years old when this game (and the film for that matter) came out. 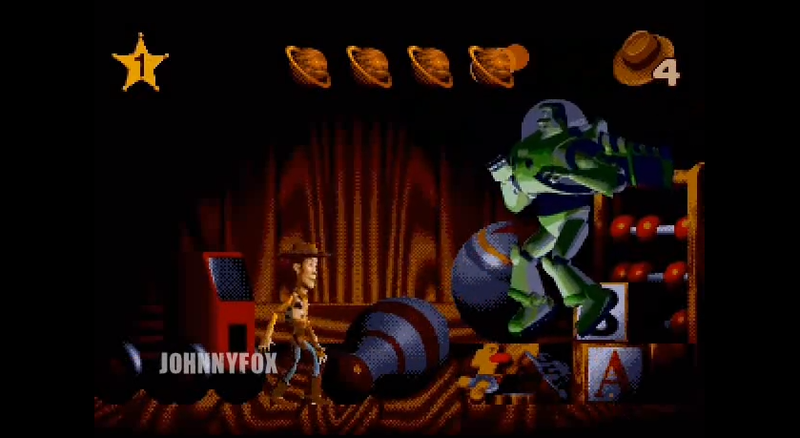 Though this game is recommended for ages three to seven, I remember still having a blast with it; especially since I was such a fan of the movie. 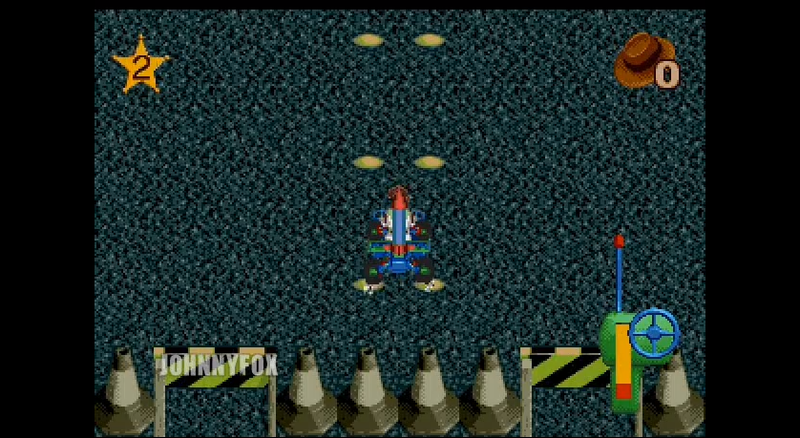 Since I don't have the game currently with me (I do still have it though back home, but I'm not sure if it even works with computers these days), I was able to capture screen shots from gameplay videos on YouTube. Thanks to YouTubers GLYGames and TheGaiw for the uploads! Watching them brought back a ton a great childhood memories. Want an in depth review of the game? Read on! 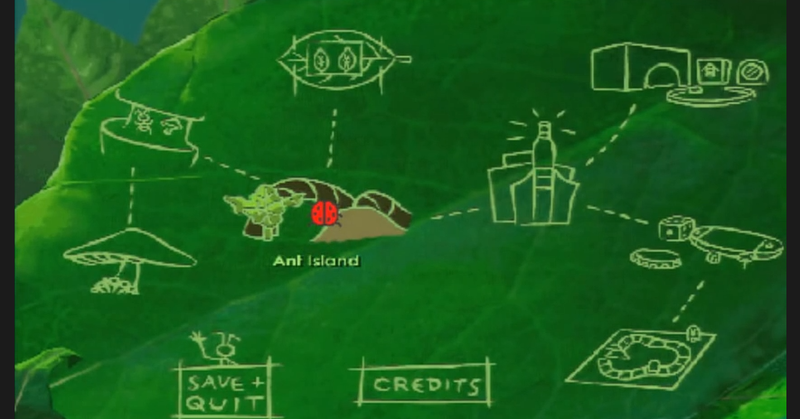 The game starts on Ant Island (screen shot below). 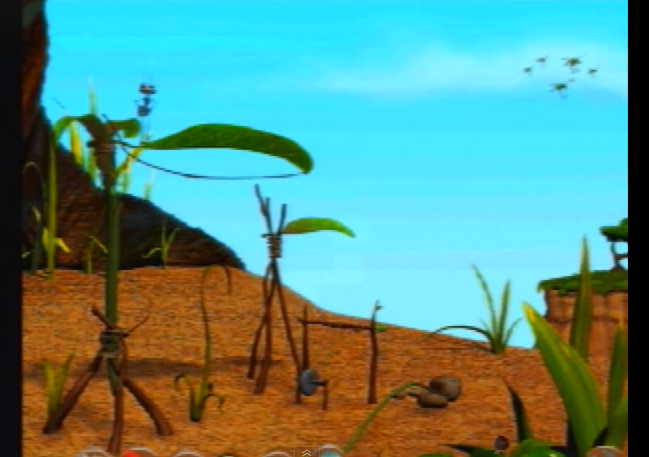 The story is that the grasshoppers are coming to ruin the ants' "harvest festival." 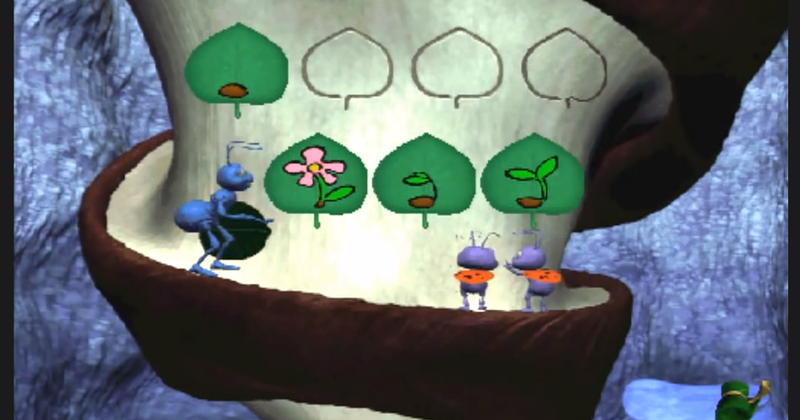 When we meet Flik at the beginning of the game, he is busy trying to make a contraption to ward them off. In order to complete his invention though, he enlists your help. 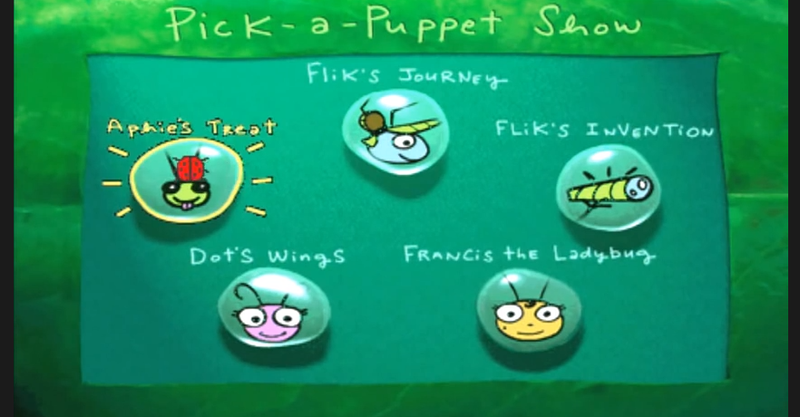 Your job is to find six items across six locations for Flik: a flower, a feather, a mushroom, a playing card, a thimble and a button. 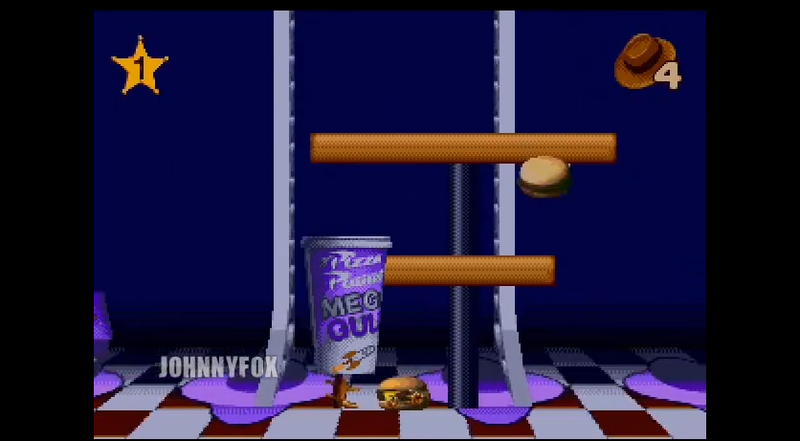 Each item is obtained by completing a mini game. 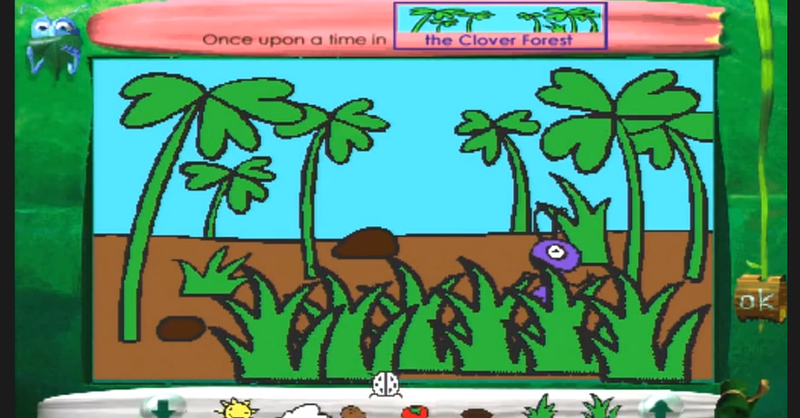 In the first game, you obtain the flower piece upon completion. 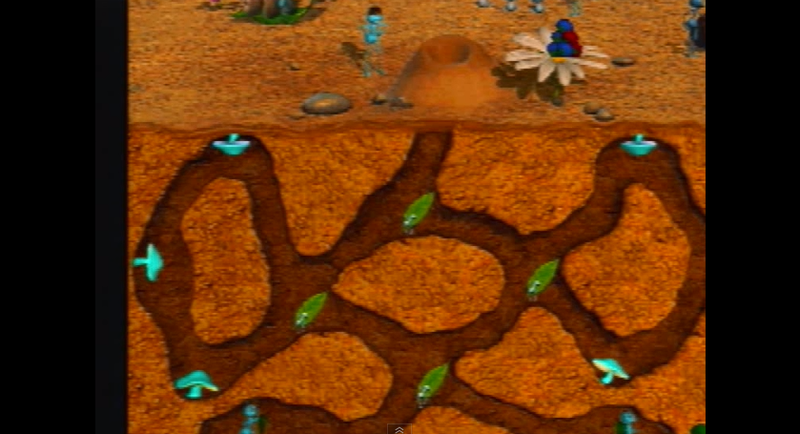 The goal is to simply make sure that the blue and red berries end up on the correct side of the ant tunnels. 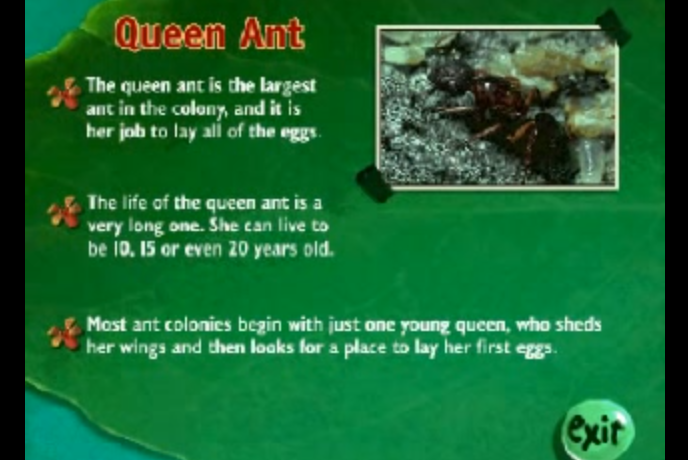 We then move into the ant hill. 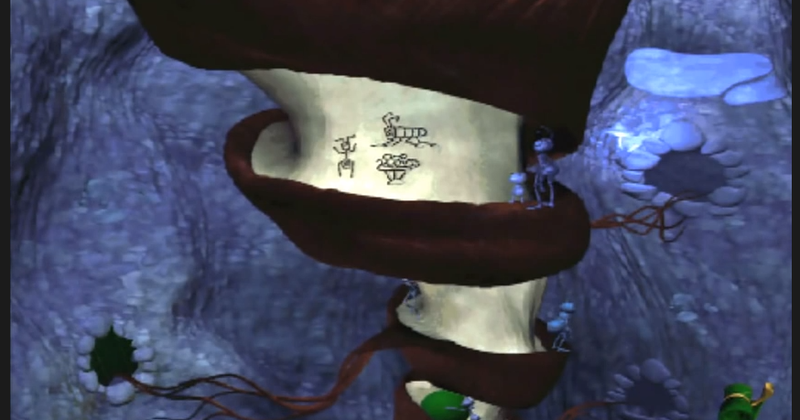 In the game seen below, the objective is to arrange the leaf art in order. Simple as that! 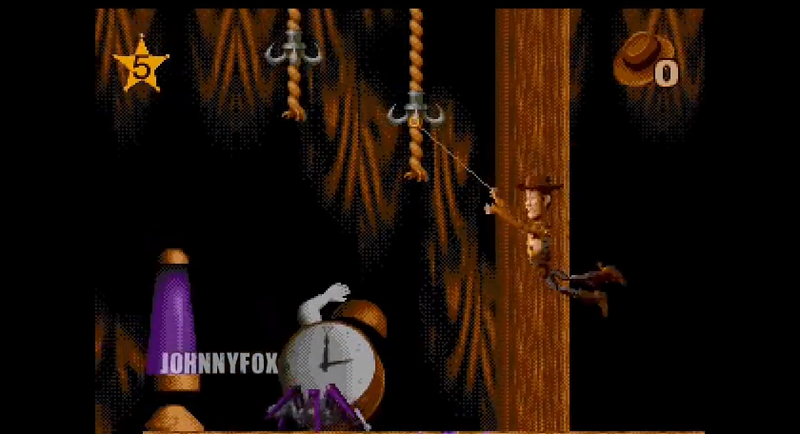 Once you complete this game multiple times, you're rewarded a feather. Next it's time to head into the council chambers. 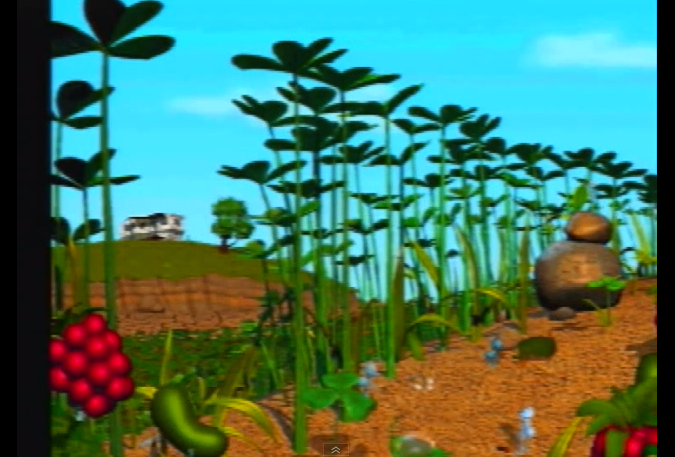 In this scene, the queen's pet Aphie digs up the glowing mushroom and hides it in the dirt. Your job is to find it by digging around! Time to head off to the bustling city! 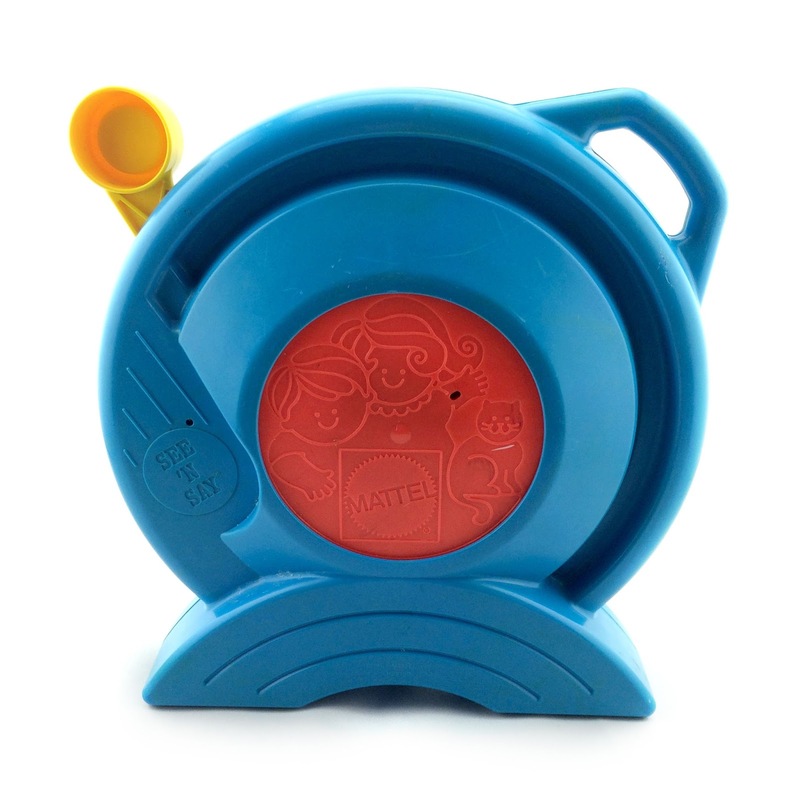 In this activity, the goal is to help a lost little bug find his dad. 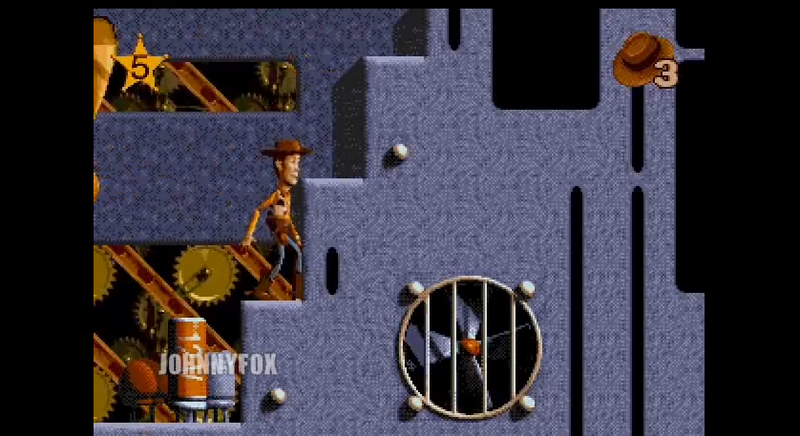 When completed, you're given a playing card- essential for Flik's invention. Ready to go to the circus? Well there's no other place like P.T. Flea's. I bet it would be the perfect location for finding a thimble, if you're willing to help P.T. get his act right! 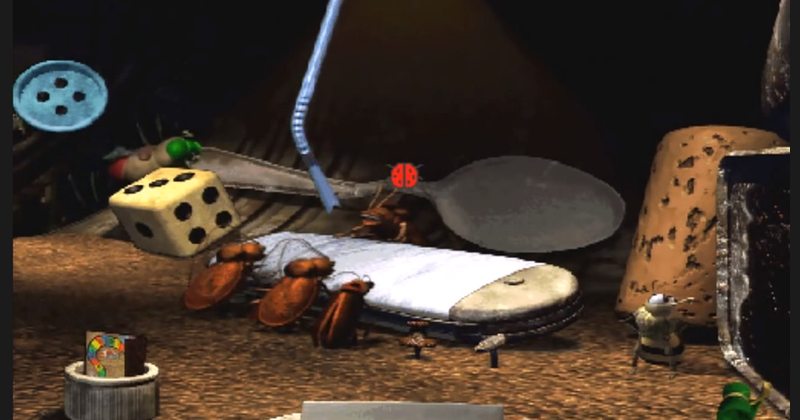 The last location is the city's "bug bar". Here you help the server get his orders to the correct costumers. If done correctly, you're given a button as a thanks. 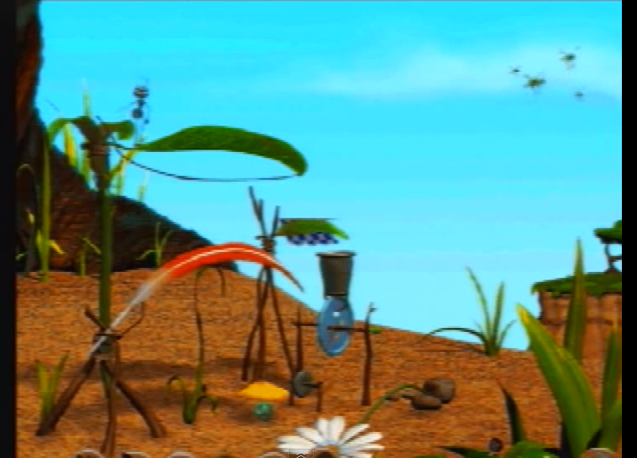 You now have all the pieces for the "anti-grasshopper" contraption! 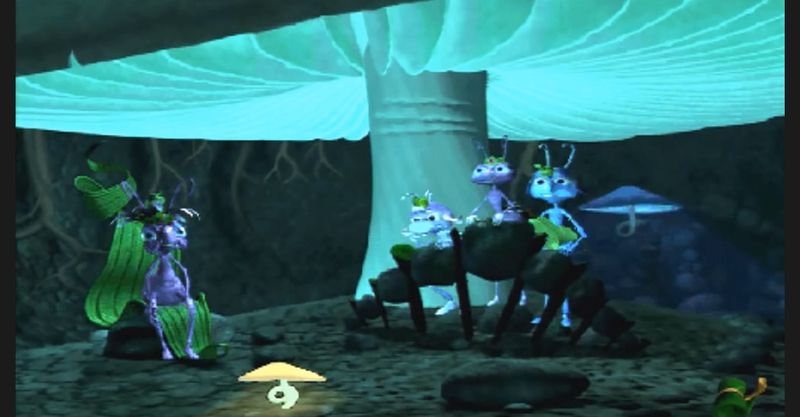 The story is complete after handing off the items to Flik and watching him defend the colony against the grasshoppers. Let the harvest festival commence! 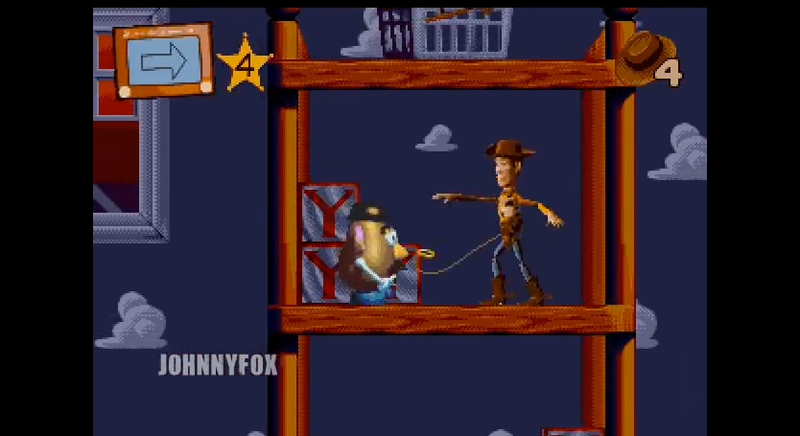 In addition to completing the main tasks/story, there are also a couple of fun extra games- just for fun. 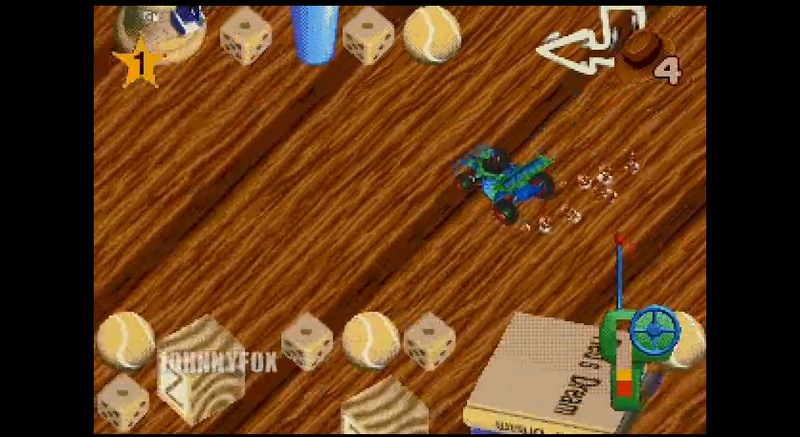 First off there's this bug board game. 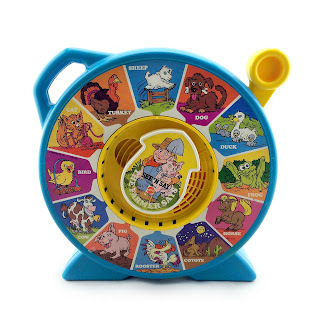 I remember it being super entertaining! 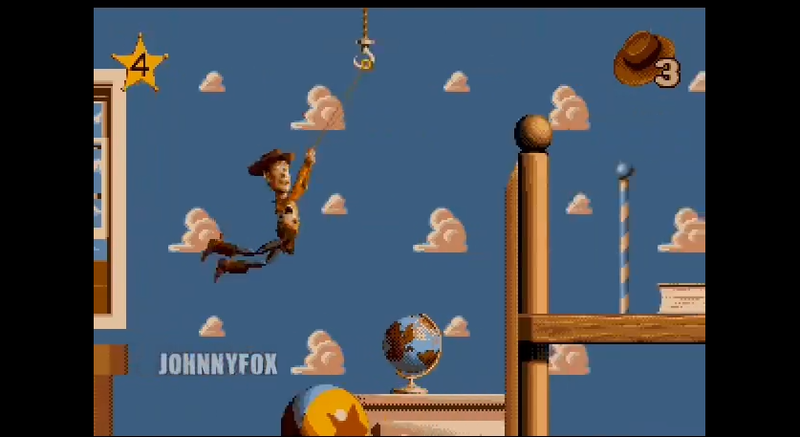 Had a lot of fun with this one as a kid. 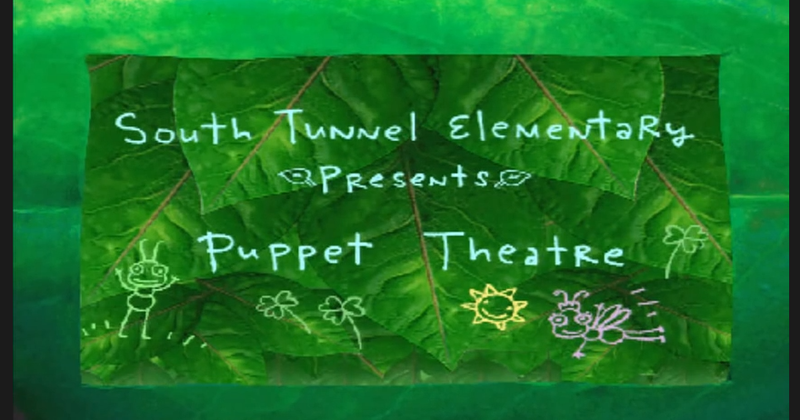 Then there's this cute Puppet Theater activity where you can decorate and populate your own animated scene and tell a customized story. Another cool thing about this game is the camera feature. 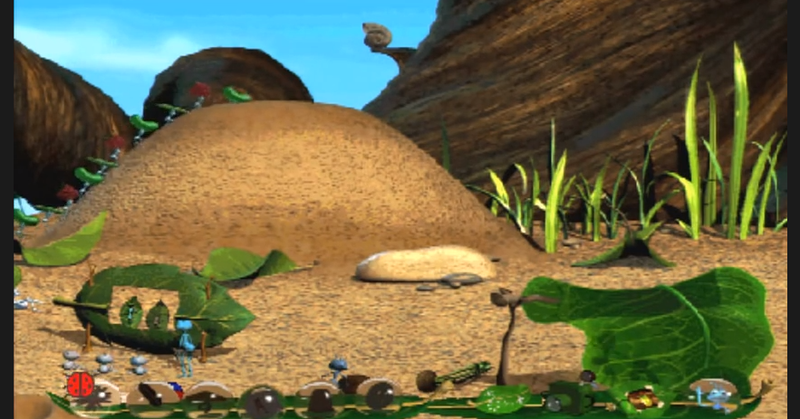 Choose the camera from leaf "backpack" and click on any bug you see during the game. 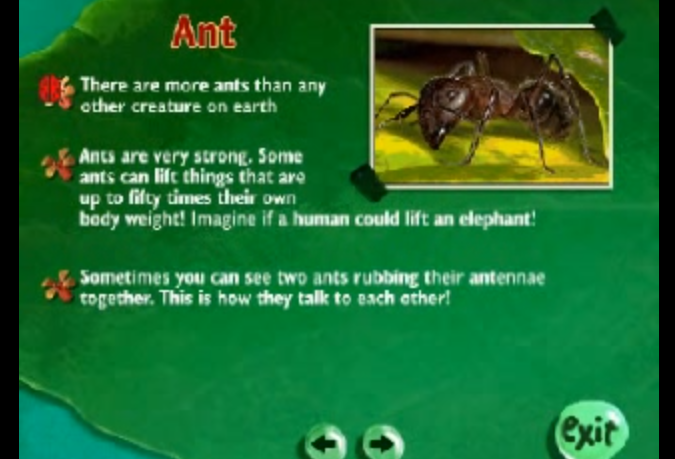 A picture of the real life bug will appear in addition to some fun facts. The image is then saved into your bug portfolio where you can access it anytime. Pretty cool feature- and helps kids learn too! There we have it... fun and timeless, just like the film itself! 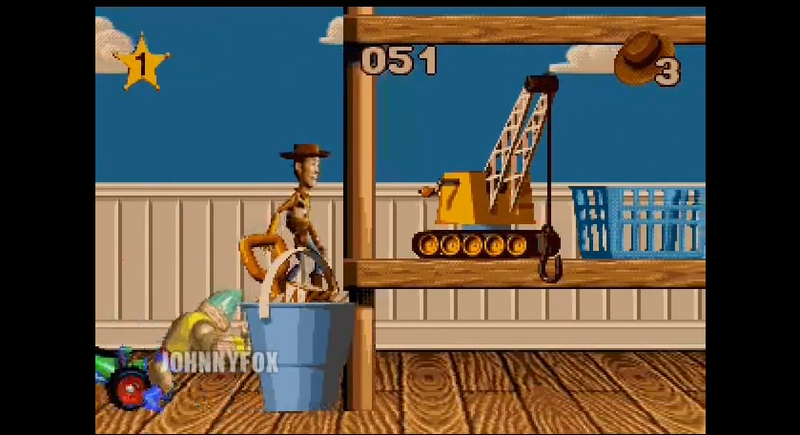 Like I mentioned though, I don't know if this game works on modern computer. 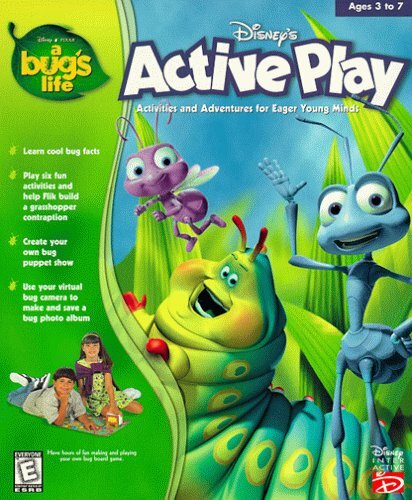 If it does, then I totally recommend this to any young fan of A Bug's Life. I loved playing this as a kid as I'm sure kids today would as well. 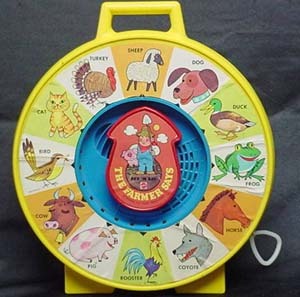 In 1965, Mattel released their See 'N Say (The Farmer Says) "learning toy". Exactly 50 years later, this [now] classic toy still remains as popular, iconic and instantly recognizable as ever. Though there have been countless version released since its original development, the same basic build and function has remained very similar. 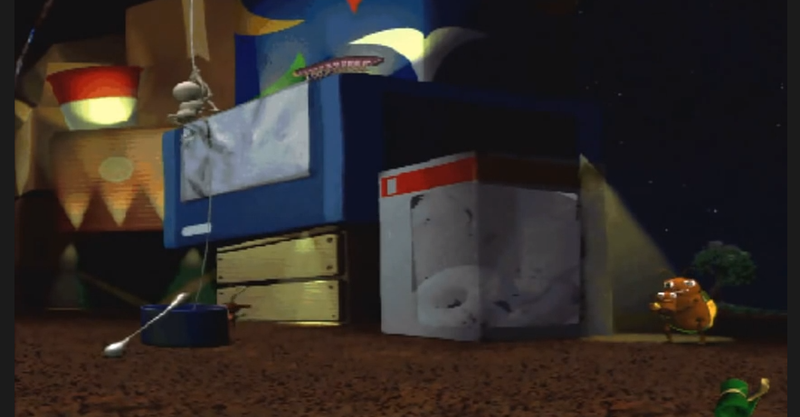 In the original Toy Story, the 1989 edition of the See 'N Say toy can be seen several times in the background of Andy's room; so naturally I needed it for my Toy Story collection even though it's not an "official" Disney·Pixar product. 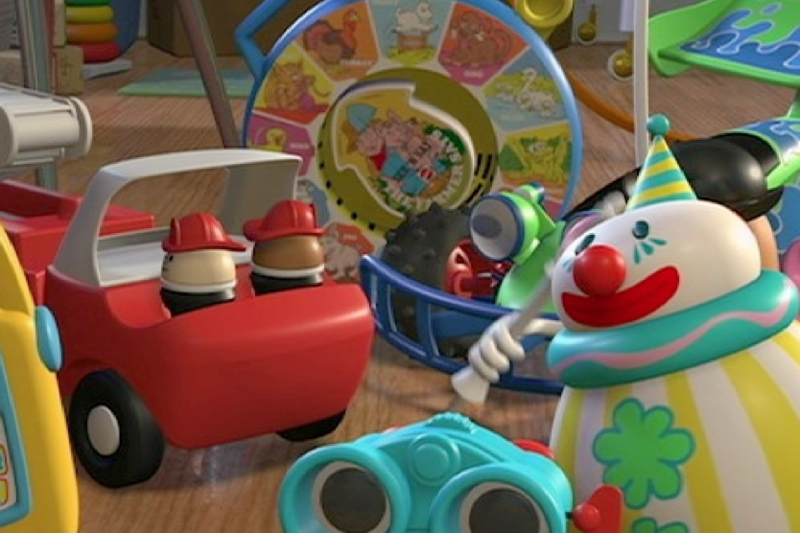 Also, a bit a trivia, the original 1965 See 'N Say can be seen in Toy Story 3! 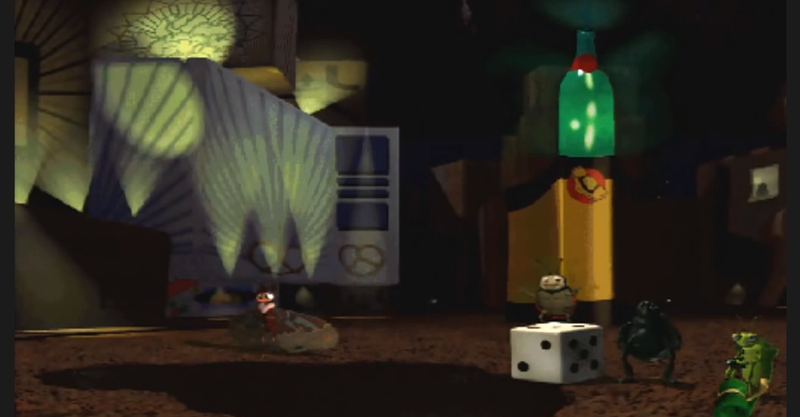 It is in the scene in the vending machine when Ken and Lotso's gang are gambling (see it HERE).